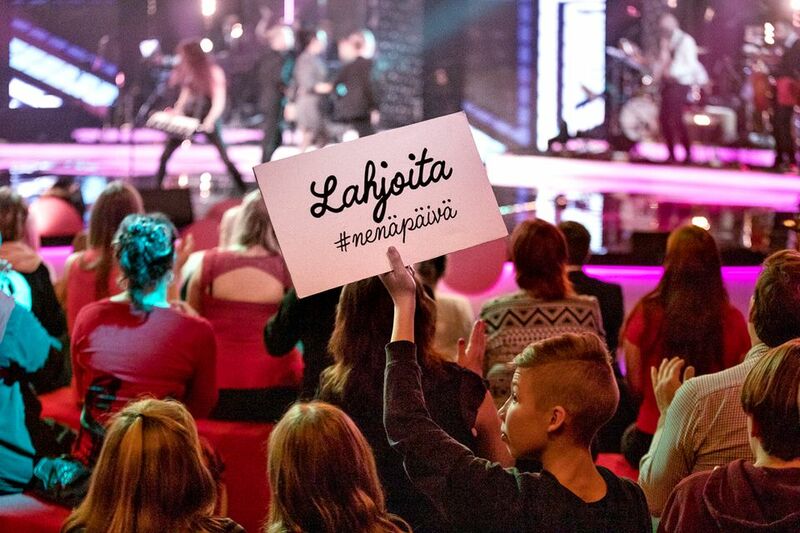 Yle has coordinated the Red Nose Day campaign in Finland since 2007. On Friday Finland celebrated Red Nose Day, the annual nationwide fundraiser for international development aid for children. Yle broadcast a full evening's TV show and a radio programme to help raise more than 2.3 million euros for the campaign in one day. Yle TV 2 broadcast the television event on Friday night, while the YleX radio channel sent out a record-breaking 40-hour "laughter marathon" from the Red Nose Day studio in central Helsinki. The radio show raked in more than 108,000 euros in donations. The host of Yle's Puoli seitsemän TV programme, Mikko Kekäläinen declared a live challenge on Friday, vowing to jump headfirst into a swimming pool from a 10 m diving board with the target of raising 50,000 euros in donations. That figure was quadrupled in half an hour, and the charity jump stunt raked in more than 230,000 euros. Many schools, associations and companies also joined in the charity drive on Friday, organising various smaller volunteer events around the country. The money raised will be distributed to seven NGOs including the Finnish branches of UNICEF, the Red Cross, Plan, Save the Children and Fida for long-term development cooperation in Africa, Asia and Latin America. The others are Finn Church Aid, the Finnish Evangelical Lutheran Mission, the International Solidarity Foundation and the Trade Union Solidarity Centre of Finland (SASK). National broadcaster Yle has organised the Red Nose Day charity campaign since 2007, bringing in between 1.6 and 3.7 million euros in donations each year.